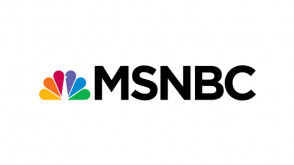 MSNBC is an American basic cable and satellite television network that provides news coverage and political commentary from NBC News on current events. The network also carries a nightly 'opinion' programming block during prime time hours. It is owned by the NBCUniversal News Group, a unit of the NBCUniversal Television Group division of NBCUniversal, all of which are owned by Comcast. Ayman Mohyeldin hosts coverage of national and international news, including breaking stories.